Most photos taken along Cal. Hwy 1 between Monterrey and Encinitas. A winter storm came in while we were in Monterrey causing rain but also some interesting clouds as the storm broke. See gallery "California Surfing Dec. 2015" for photos of big wave surfing from this visit. Airplane photos were taken in the San Diego Air and Space Museum in Balboa Park. 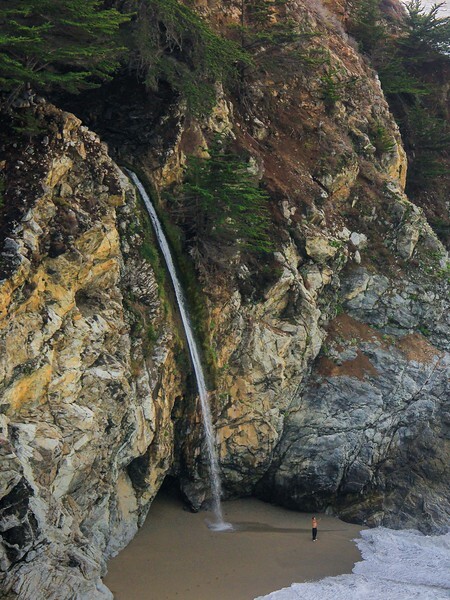 McWay Falls in Julia Pfeiffer Burns State Park.